How long can we hold our breath for? As something most of us will have wondered when swimming, the next blog post in our ‘ask a Sports Engineer!’ series looks at how long we’re able to hold our breath for underwater. Despite what most people would think, humans are actually quite well suited to being underwater, as after all, we spend the first 9 months of our lives in an ‘underwater’ environment. 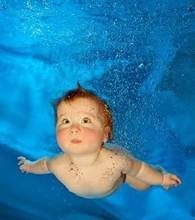 If an infant is submerged under water it will instinctively hold its breath for around 40 seconds whilst making swimming motions. We seem to lose this ability shortly after we start walking and many people believe that waking up these reflexes are one of the most important factors in surviving underwater for long periods of time. The art of holding your breath underwater is something commonly associated with ‘Freediving’, something which history suggests has been around since the 5th century BC. The first documented freedivers were a Korean tribe who swam to extreme depths to collect shells and sponges to sell or exchange for food. Divers would use weights to increase the speed of their descent until they were at depths of around 10 metres (greater than the height of two London buses!) and stay there for as long as 5 minutes. The early 1900’s saw spearfishing, the art of catching fish with spears while swimming underwater, increase in popularity. This type of spearfishing is still very common today, particularly in the Mediterranean. Unsurprisingly it’s not a popular sport in the UK! This interest has seen the sport of free diving evolve to something known as Apnea, a competitive sport focussing on swimming to the deepest depths and for the longest times. Static Apnea- Timed breath holding, normally done in a pool. Dynamic Apnea- Underwater swimming in a pool with or without fins. Constant weight Apnea- Diving to a depth by following (but not touching) a guide line without dropping any assisting weights. Free Immersion Apnea– The same as constant weight Apnea but the diver can be assisted with the guiderope. No Limit Apnea- Normally linked to beating records, the diver can use any means of diving to descend and return to the surface as long as a guideline is used to measure the depth they’ve reached. Most divers are assisted with a weighted sled in the descent and an inflatable bag when returning to the surface. Static Apnea is an international sport for holding your breath whilst your head is either partly or fully submersed for as long as possible. Static Apnea is the only competitive form of freediving to measure the duration of time the diver stays underwater for. Times are normally recorded in a pool, whilst some are done in lakes, rivers and the open sea. Freediving is actually a very complex sport as it involves many muscular systems, as well as the mind-body connection. This means that, as in any sport, training is key. Typical training will involve; relaxation techniques, breath holding techniques, cardiovascular training and mental training. Relaxation and conservation of energy whilst underwater is essential, as this will make the oxygen you have left in your body last longer. Whilst underwater, freedivers enter a deep state of relaxation in order to use as little oxygen as possible. Divers simply lay underwater without moving until their body signals they cannot continue. These underwater relaxation techniques have seen the birth of ‘Zen Freediving’, focussed purely at deeply relaxing the mind and body. Records for static Apnea are measured by the International Association for Development of Apnea (AIDA). The Guinness World Records also measures the length of time people can hold their breath underwater for, but allow the inhalation of pure oxygen prior to the record attempt. The idea of technical assistance in sport is a current hot topic, something previously written about by one of my colleagues, Dr David James. 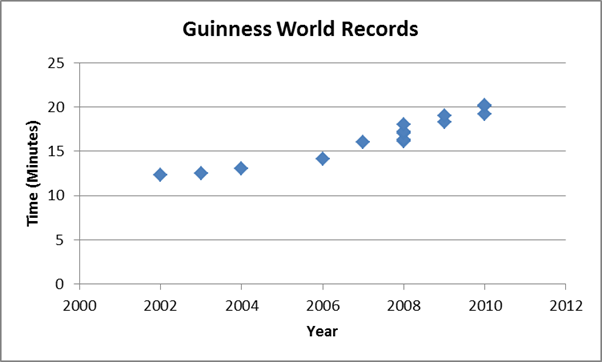 In freediving, many consider the assistance allowed by the Guinness World Records to be ‘cheating’ and only consider the times recorded by AIDA. So what’s the problem with holding your breath……do you go blue…..or does your body adapt? Are there any long term health effects? As mammals, humans are fortunate to have ‘mammalian diving reflexes’, meaning that our body does a pretty good job of adapting when oxygen is in short supply; lowering heart rate, directing blood to key organs, releasing red blood cells to carry oxygen and diverting blood to fill up blood vessels in the lungs to prevent them from shrinking and collapsing. In spite of these adaptations, many health experts are concerned that regular shortage of oxygen for long periods of time can lead to premature heart failure and permanent brain damage. Lots of research has been conducted in this area but with few conclusions. So now to the numbers…how long can someone actually hold their breath underwater for, and have we improved on the times documented by our ancient counterparts? In line with the AIDA and Guinness versions of records we’ll show them separately. The current AIDA record of 11:35 is held by Stephane Mifsud whilst the current Guinness World Record of 20:21 is held by Ricardo Bahia. 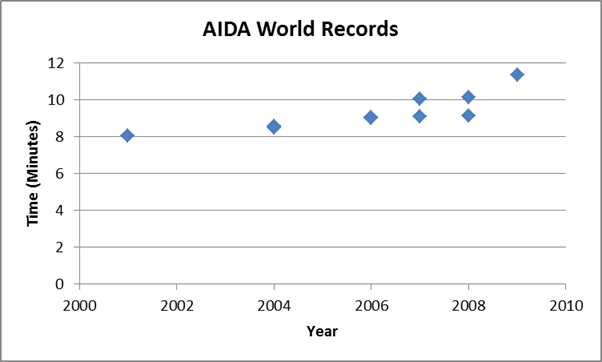 Although the AIDA record is unassisted by oxygen it is over double the times documented in history. This is likely due to the diver being stationary instead of moving, but may also suggest that the significant training and relaxation techniques make a big difference. With the average person being able to hold their breath underwater for around 2 minutes there’s some way to go for the rest of us! Maybe we need to find a way to wake up those old childhood underwater skills or just give in to technology and buy some scuba diving tanks! Sean started his engineering career at the tender age of 4, continually ‘wiring’ up his parents’ house with string, wool and plastic socket protectors designed to stop him from being interested in electrics! The fact that he never managed to decapitate his mum and dad remains a mystery, but with this early interest Sean’s future career was sealed. Also apparent from an early age was Sean’s addiction to water, whether it be on top of it, under it or floating on it. After pursuing many water related sports including kayaking, scuba diving and sailing it was Sean’s first water sport he settled on- Sailing, something which he also started at a very young age. Sean competes regularly in many local and national yacht racing championships throughout England are Ireland with varying degrees of success, always attributed to the poor weather…..or so he says! Sean also has interests in other sports including; cycling, badminton, archery and golf. After graduating from Sheffield Hallam University with a BEng (Hons) degree in Electronic Engineering Sean then went onto complete an MSc in Electronics & IT also at Sheffield Hallam University. With such a strong interest in engineering and sport his next move of joining the Centre for Sports Engineering Research as a PhD researcher was only a natural progression. Sean’s main research area is developing 3D camera systems to analyse the way in which the body moves during motion (producing pretty pictures). From his electronics background Sean is also interested in developing instrumentation and feedback systems to measure the movement of athletes and the equipment they use. Sean has a strong interest in the application of consumer hardware such as the Xbox Kinect and Nintendo Wii remote to sports and has developed lots of fancy pieces of software to show off what they can do.